We are a leading name engaged in manufacturing, supplying and exporting a compact assortment of Welding Rod Making Machinery to our deemed clients. These offered range comprises Wet Mixer, Briquetting Slug Press, Wire Straightening & Cutting Machine, Wire Feeder Vertical, Conveyor Unit, Bell Housing Type Extruder, Twin Cylinder Extruder and others. 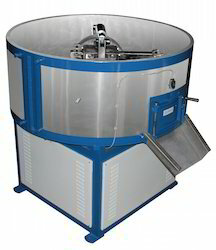 Moreover, these machinery are extensively regarded for usage in various industrial applications in diverse sectors. Patrons all over appreciate this range for its attributes like high performance, longer service life and reliability. Further, these products can be availed from us in variegated sizes, grades and other dimensions as per their needs and demands. To keep pace with the growing needs and demands of the industry, we present a commendable array of Wet Mixer to our respected clients. 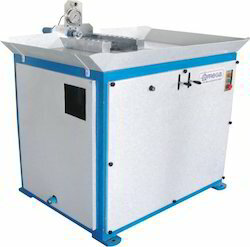 These mixers find broad application in diverse industries and sectors as a binding agent of homogenized wet mixtures. Manufactured utilizing qualitative raw material, these products find application in industries like pharmaceuticals, cosmetics, chemicals, food, plastic and others. We are supported by a team of adroit professionals who have come up with a con-size range of Briquetting Slug Press to our trusted clients. Offered press are fabricated under the supervision of assiduous experts who work in sync with the industry laid parameters to deliver a fault free assortment at the clients end. In addition to this, patrons can avail this range from us in diverse customization options as per their detailed specifications at market leading prices. With our expertise in this domain, we are engaged in bringing forth an unmatched quality range of Conveyor Unit to our trusted patrons. These units are fabricated by the use of finest quality raw material by employing latest equipment and production methodologies. Moreover, patrons can avail this range from us in numerous sizes, grades and other dimensions. 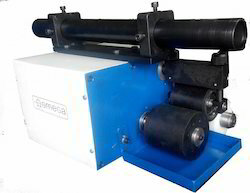 0.75 X 3 ( 2.25 HP ) A.C.
Owing to our rich expertise, we are offering a compact assortment of Electrode Printing Machine. Moreover, these products can be availed from us in distinct sizes and grades as per the clients specific needs and requirements. In addition to this, patrons can avail this consignment from us in multifarious sizes, grades and other specifications as per their requirements within the stipulated time frame. which used to be possible only by a semi-automatic or manual operation has now been materialized. 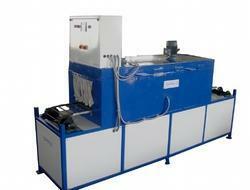 Shrink Wrapping Machine is one of the advanced packaging ways in the internationals market at present. it adopts shrink film to products or being packed articles, and then to heat the shrink packing material and tightening products or being packed articles, so that the appearance of the articles is shown fully. So that the articles can be put well on display and which may also increase their beauty and value. Besides the packed articles can be sealed, damp proof, dust proof and protect themselves from outside shock and thus have the better functions. Especially, for packing glasswares, this can prevent household utensils from scatting when they are broken. In addition, this way can decrease the torn and stolen possibility of the products. As the shrink film shrinks, some pressure can be created to tighten a group of packed articles together and trays so this product can be used widely for shrinking all kinds of shrink packing material. 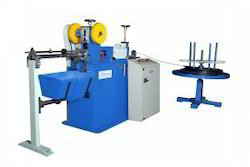 Patrons can avail from us a magnificent array of Wire Straightening & Cutting Machine, which is precision engineered at our well equipped manufacturing unit with the aid of sophisticated technology and machinery by making use of prime grade raw material in adherence with the international quality standards and guidelines. In addition to this, these offered products can be availed from us in multifarious sizes and grades as pr their detailed specifications.